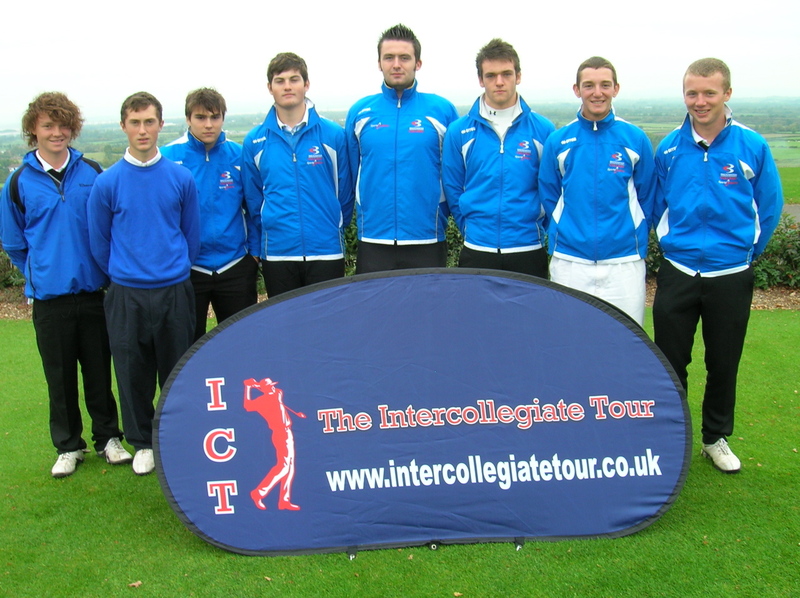 The Bridgwater College Golf Academy team learnt a valuable lesson playing at the Bristol Club in the first tour stop of the 2010- 2011 season and that is for a young team with only one or two experienced players they are not that far behind. When the tour visits their home course at the Cannington Golf Club they will be in a position to make up the ground on the colleges ahead of them. Taylor Lloyd had a memorable round of 72 to finish fifth in the individual event and claim 15 order of merit points, the top ten players in the order of merit qualify for the Players Championships next may. The rest of the team missed out after some promising starts Alex Winn, Kieran Windsor and Gareth Reardon only to fall away as the pressure was racked up finishing 16 shots behind winners Filton in the handicap section and tying with Richard Huish. Bridgwater College Golf Academy Director Ron Macrow said, ‘"This is quite an inexperienced team and they have all seen the opposition and realise they are not that far behind and by being more alert to opportunity and taking advantage of it, this team will improve." Photo Left to right; Josh Freeman, Kieran Windsor, Gareth Reardon, Harry Longman, Nathan Naylor, Taylor Lloyd, Richard Kippen, Alex Winn.